A fabulous, exuberant book of food, travel and humour by two of New Zealand's best-loved cooks. 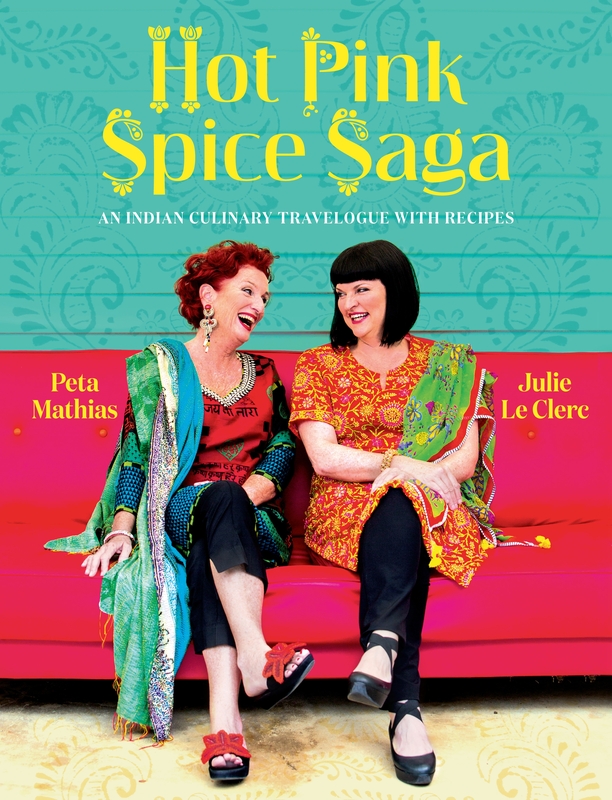 A fabulous, exuberant book of food, travel and humour by two of New Zealands's best-loved cooks. Peta Mathias and Julie Le Clerc are in love with food, in love with travel and in love with India. In her characteristic exuberant, evocative and hilarious style, Peta relates how they got to know this fascinating country through its cuisine: be it street food, feasts, or an everyday meal cooked on the floor of a tiny shack. They have travelled to tea plantations in the mountains, stayed in palaces and slept on a train: that ‘wonderland of unmitigated, primeval swamp muck’. While Peta has led various culinary tours, Julie has established a patisserie in an upmarket New Delhi hotel. This is no superficial flirtation with the country, but a full-blown love affair. The over 60 recipes showcase distinct regional traditions, passed on from the generous people they have met. Carefully chosen and adapted to be easy for the home cook, they are all mouth-wateringly delicious. They include such delicacies as Rajasthani white lamb curry, coriander cardamom chicken, almond sweet pudding and rose-petal ice cream. Julie’s fabulous photographs convey the colour of the country, and are almost good enough to eat. Shortlisted for the Gourmand World Cookbook Awards, the Best in the World for Indian Cookery (to be announced on June 9 in Yantai). Love Hot Pink Spice Saga? Subscribe to Read More to find out about similar books.